I want to write more soon about the process of making felt, but I do have a few quick photos to share of an order I'm just finishing up. I've been working on some felt pockets for a dear lady who loves gardening. Her friend saw some earlier versions of these designs and thought they'd make a nice Christmas gift. I agree! 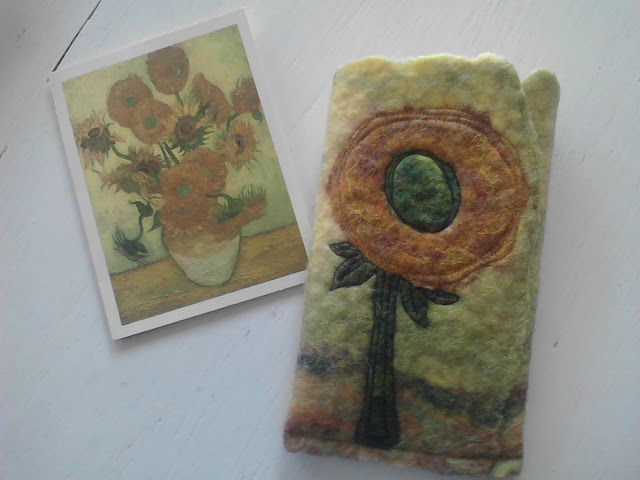 I really enjoy using Impressionist paintings as inspiration for my felt. No matter how many times I work from a particular painting I see something new about the original when I begin to lay out my design. 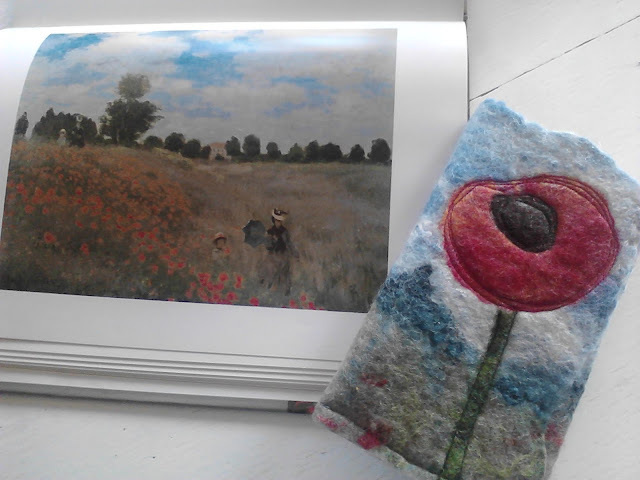 Yesterday I concentrated on the details of the field and tree line in Monet's Wild Poppies. Laying out the wool roving is my favorite part of the process and this is what I really wanted to share with you. 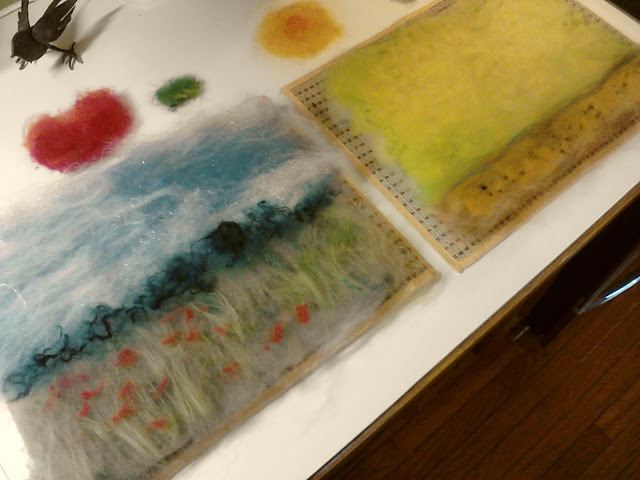 Here is the wool pictured above before I wet felted it. The smaller piles of red, yellow and green roving on the counter became the flowers. I prefelted those pieces and applied them to the background once the entire piece was wet and beginning to hold together. ﻿The reason I love the early stages of wet felting so much is that I am forced to let go of my tendency to get caught up in details. In fact, the process of wetting and fulling the felt changes the piece so much that there are always suprises. There is just no way to control it completely...sounds a little like life, yes? Here is my latest interpretaton of Van Gogh's Sunflowers. In the finished piece the individual colors are more defined than I expected, but I love the way it all turned out and I love that the "spirit" of Van Gogh's original piece really shines through. I think it's great I could never create the exact same image. If you saw the photos of the pockets I posted a few weeks ago, you know how very different these are, even though I was inspired by the same paintings. LOVE that! It's time to get these packed up and send them on their way. 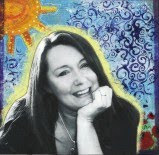 I hope you are inspired to do something creative today. Go where you go and do what you do with all your heart and enjoy the process!